Throughout my life in sports when I trained there were goals. Whether the goals are personal or professional it is good to have them set. Once a goal has been reached the question becomes – what now? I manage goals and the “what now” dilemma by setting short-term, intermediate, and long term-goals. My ultimate goal is to have my cremated remains shot out of a cannon across the river where I live. In the meantime, there is a lot to be done. A short-term goal I had was to compete as a professional archer at a World Championship. By qualifying as a professional I was able to accomplish that this August. Yes, that was a “short-term” goal. 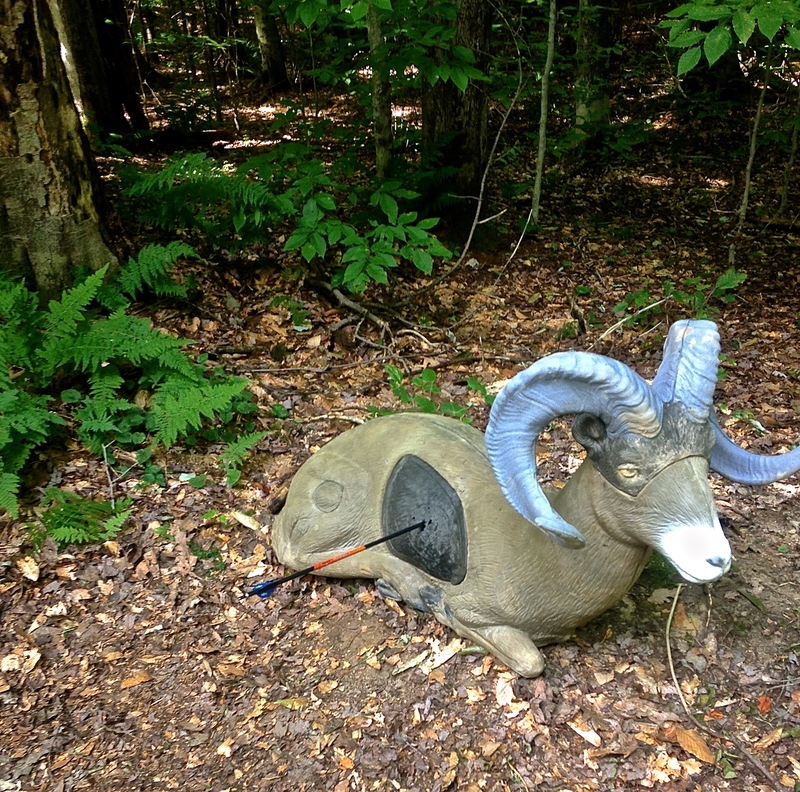 In archery, many of my goals were established to create a forward momentum and to learn. Part of the learning is to gain a ‘feel’ for the various levels of competition and an understanding of tournaments. That is, to become comfortable shooting despite the conditions. Becoming comfortable during an archery tournament is more important that many people might consider. If you’ve been competition for decades, you’re probably comfortable. You probably have a group of your friends that you shoot with during a tournament. Your arrangement is social, easy, relaxed and supportive. When I land at an event I never know whom I’ll end up shooting with or against. Where I’ve shot multiple times, I do better. I am more comfortable there. However, for the most part, it is always a little awkward. For that reason, one of my goals was to shoot at least 2 competitions per month in the 2015 3D season. That activity and that goal would help in the mid-term when I arrived to qualify for a spot to compete at the IBO World Championships. On that day, I would be shooting with guys I knew in Delaware and Maryland. I’d also be shooting further away from the target and didn’t want to embarrass myself in front of my friends. At times, it can be more difficult to shoot with friends that you haven’t seen in a few months than when shooting against strangers. When the shoot was over, I wasn’t embarrassed. I didn’t win the World Championship –it wasn’t a goal for 2015. Being realistic and having first picked up a compound bow 23 months and a week prior to the IBO event my plan was a bit more realistic. The plan was to shoot against the best in the world and to become more comfortable during that level of competition. My goal to win isn’t until 2017. In the meantime there are goals and milestones. Along the way, experimenting and learning there have been some humiliating moments. Those times are when I shot a 5 or, as happened 3 times this year, missing the target entirely. 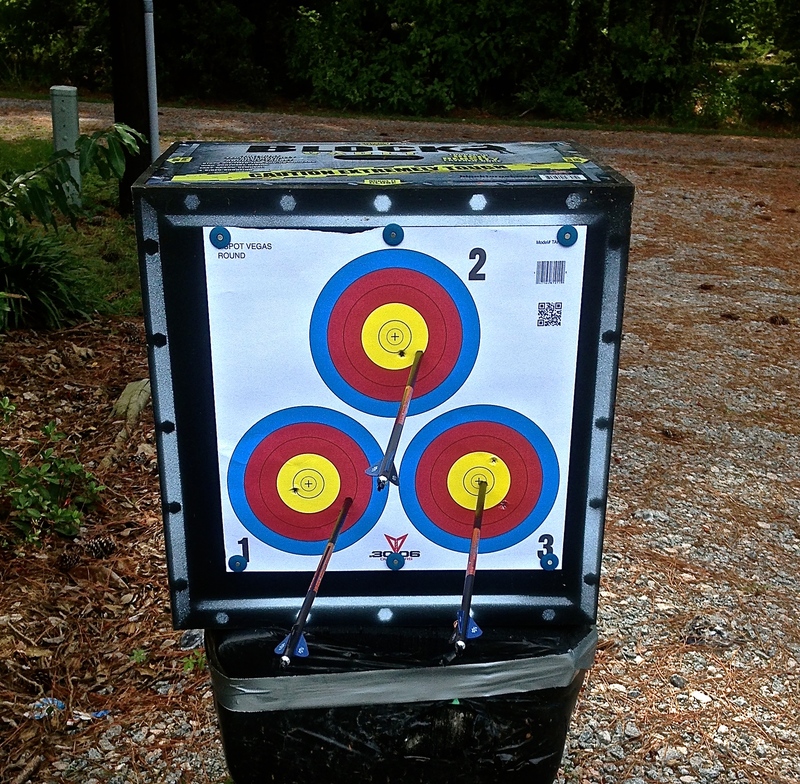 Thus far, in 2015 I have shot 500 arrows during competition. Since January I’ve competed 19 times or just over 2 tournaments per month. Of those I took 1st four times. That means that 21% of the time – I win. There were also some rather sad days where I didn’t perform to par. Fifty-three percent of the time I ended up 4th place or lower. 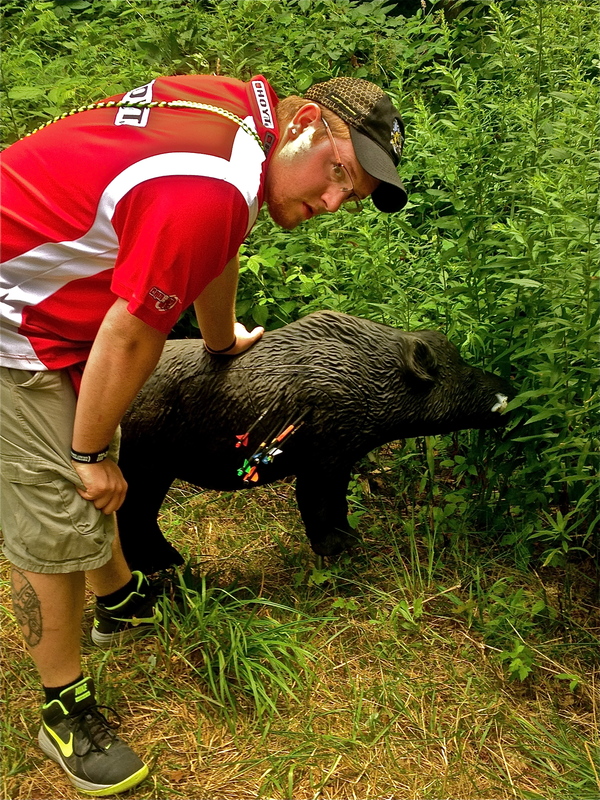 My second worst shooting of the year came at the 2015 IBO World Championship. During practice, on the Defense Range, I shot great. Apparently, I left all my good shots there. When shooting for the money, I shot badly. That is one of the reasons I went to the tournament. Not to shoot poorly but to get the feel for the level of competition. I was uncomfortable which was entirely a mental error. One of the goals is to overcome mental stress during competitions. That comes, in part, with competition at all levels. As I review the upcoming fall and winter tournaments, I’ll be looking at the tactics involved in achieving my goals and the plan itself. During this phase I may realign goals or completely change some of them. As with all sports, athletes should set goals, have tactics to help achieve the goals and evaluate performance. During the process adjustments will be necessary. Don’t be afraid to change things up a bit. A few weeks before the IBO World Championships I decided to get my house power washed. Living on a river in the country means that bugs and spiders cover every outdoor surface. We had a lot of surface area that needed cleaning. When we weren’t living full time in NC and had a nice cash flow we’d hired someone for the job. That job was always the same price: $500.00 for any specific surface. For example: power wash the house, $500.00, power wash the decks, $500.00, power wash the pier and dock, you guessed it – $500.00. Since we do now live in the Tarheel State full time and no longer have cash flowing in (a matter of retirement) I decided to buy a nice power washer and do the cleaning myself. I found a nice one on sale at nearly ½ price – $500.00. I’ll admit I’ve had some experience with a power washer. I’d borrowed one from my father-in-law that actually belonged to my brother-in-law. It wasn’t hard to operate and it didn’t do a great job. There wasn’t anything wrong with the device and it worked to specifications. The issue was that this borrowed power washer was an entry-level product with a low PSI and low GPM output. The one I purchased was double the output capacity of the one used on loan. The force of the new power washer was dramatic. The wrong nozzle and it would peel paint from a house or etch wood. It did get the bugs, spider webs, dirt and environmental grime off the house and deck. Power washing is addictive. Once the spray begins turning a dingy surface new it is hard to stop cleaning. I power washed for a week straight. The house and decking were good as new. The pier and dock looked like they’d just been built. All the outdoor furniture seemed as if it had just arrived from the assemble line. Heck, I power washed the kayaks, my Carolina Skiff, three vehicles, my tractor, and where I could reach the bulkhead. What I learned is that a serious power washer is a beast to handle. The force and vibration will shake your teeth loose. It didn’t matter; I took the punishment for the sake of cleanliness. Man, everything looked great. But, there was an unexpected price. What I noticed following a very satisfying few days of power washing was an ache in my elbow. The ache got worse. By the end of my power-washing extravaganza I could hardly bend my arm. To make things more serious, I could barely lift my bow. It was with this condition I arrived in Ellicottsville for the IBO World Championships. I nearly skipped the tournament – frankly I couldn’t draw my bow without intense pain around my elbow. 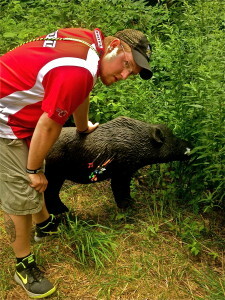 Once I had an arrow drawn the pain wasn’t as intense, so I decided to go to NY for the experience. I got through the tournament knowing I’d need at a minimum of a couple of weeks to recover from what is commonly know as “tennis elbow.” In this case, brought on from a power washing frenzy. Tennis elbow affects 1% to 3% of the population and as many as 50% of tennis players during their careers. Less than 5% of all tennis elbow diagnoses are related to actually playing tennis.1 In my case, I fell into the group of “scrubbers” that end up with the affliction. Since shooting in NY I’ve rested that arm until two days ago. It is hard not to shoot. An incentive to rest was the inability to lift the bow – the pain was much worse after the tournament. Two weeks of rest seems to have helped. 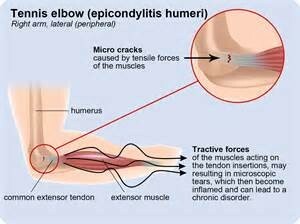 The elbow still hurts but now the pain is dull and seems to be receding. I had less success keeping away from the breast of a power washer. The addiction was too great and my wood burning grill too tempting. I did crank up the monster and cleaned that grill – it hurt. But, the grill looks practically new. Some folks seem to really enjoy tinkering with gear. Any sort of gear works for the tinkerer. 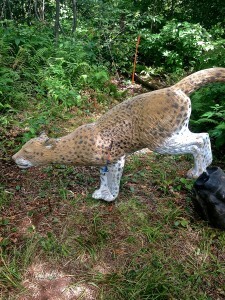 Some people tinker with fishing gear, others with guns, some with cars, still more with archery equipment. When I was a child my buddies tinkered with the standard items I listed above. Not me. On the first Christmas that I can remember making a gift request I asked for a microscope. I got it along with a few pre-made slides, blank slides and a chemistry set. Those gifts were my first steps toward a career in medicine that lasted 43 years. 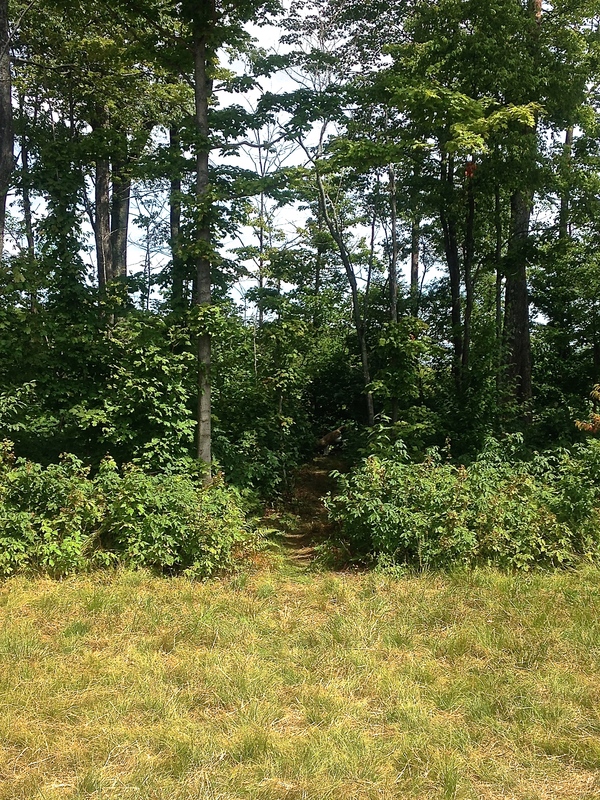 Granted, along that path I enjoyed sports, which included fishing, hunting, cycling, running and swimming. But, I never tinkered with the gear used in those sports. Two years ago I took up archery. To my dismay, it required I tinker. Primarily, I am obligated to fiddle around with my scope and sight. To be very honest, I do not enjoy messing with either. Unlike my run this morning, where I gathered my gear – shoes, shorts, t-shirt. hat and pace dog – today’s archery practice was a tedious process. That tedium brought on because I switched my gear from a hunter class rig to that with a sight/scope and long stabilizers. To compound the effort of sighting I’d purchased a new bow since I last used my sight and scope. The twenty-yard mark for the new bow was where the taped mark for the 40-yard graduation was from the old bow (not even close). That meant the process of calibrating two marks and matching the yardage tape had to be repeated. 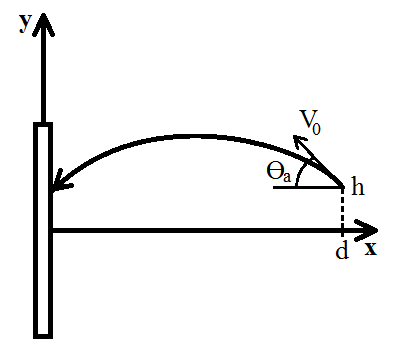 Plus, the windage had to be adjusted to find the center. The 3rd target meant I could stop tinkering for the day. Personally, I prefer to shoot. Sadly, the tinkering had to be completed in order to shoot with accuracy. Today, I tinkered for 2 hours adjusting the sight and scope. It was a tad frustrating; later I’ll go ride a bike (without any tinkering required) to burn off some steam. The world needs people that tinker with gear. Happily for me, it also needed people in the medical field during my working days. If I’d needed to earn a living tinkering I expect I’d have starved. Since I was around 14 years old I’ve had a membership at the YMCA. That membership included an “Away” status that allowed me global access to Ys. 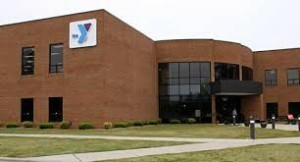 On Thursday, I renewed my Y membership in Elizabeth City, NC. The move from Easton, MD to New Hope, NC meant saying goodbye to one of the best Ys in the world. I’d been going to the Y in Easton for nearly a decade. They had two pools – one of my main reasons for going. I do lift weights, but only for muscle maintenance – not bulking up. As a triathlete, bulk means more body weight to carry. That is tough while running and worse when going uphill on a bicycle. Swimming, however, is a different story for me. I am a horrible swimmer. Growing up in South Georgia, swimming was an activity associated with some floatation device and a 6-pack of beer tethered to that float. Competitive swimming is a totally other activity. 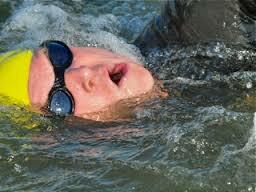 I’ve spent many years working to finish in the middle of the pack during the swim leg of a triathlon. Despite the effort there were races where claiming a mid-pack finish was generous. The Y in Elizabeth City has a nice pool. Before joining that Y I used my “Away” membership to train there and never needed to wait for a lane. 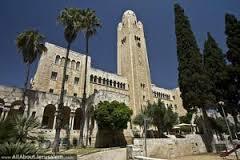 In fact, using that “Away” membership I have swam at Ys from San Diego to Jerusalem. The Y in Jerusalem is particularly cool. While I have no burning desire to do another triathlon, I know the day will come when I am compelled to race. Having a pool in which to do laps means I can at least maintain my slow pace – maybe even improve a little. It also means year round swimming and getting out of river for a break. The water in the river here has been near 90°F throughout the summer. That is really hot for a long swim. I’m looking forward to heading to the Y for a swim. The shoulder work may even prove beneficial over the long haul in archery. Prior to the IBO World Championship, I paused to evaluate my scores for the year in 3D. The distance I have been shooting in competition was a maximum of 45 yards while using a bow with fixed pins and a short stabilizer. That bow set up meets the requirements for the IBO Professional Hunter Class. Since the 2015 3D season began I’ve averaged 9.1 points per target. The score per shot improved as the season progressed with the ‘better’ scores averaging 10.35 points per target. The worst performance (the first 3D tournament of the year) the average was 7.65 points per target, which included a miss and a mess of fives. It takes a lot of numbers to make a good database. The sample set used here isn’t large enough to be definitive. But, it did give me an idea of my likely score at the tournament in New York. That score should have been around 364 which would have landed me in 12th position. In fact, I shot worse, ending up 13th place. The distance didn’t turn out to be my major downfall, it was my lack of experience shooting at steep uphill and downhill angles. This sort of analysis is beneficial to help determine areas of weakness and topics for shooting improvement. Following the 2014 IBO World Championships my only complaint was related to the poor quality of manufactures’ representatives on hand to support their booths. This year, vendor representatives remained rather sad. If you were in NY, perhaps, you too noticed that the sales people often seemed dull and unresponsive or basically full of their self importance. For decades I was in business practice at an executive level. The last business I was associated with I was an executive VP and Chief Medical Officer. You might think, “Well, you were over the science and medical group, you don’t really understand business.” You’d be wrong; I also have a law degree and completed an accounting program. Of the things where I have an expertise, business (sales and marketing) is an area where I am very strong. This is why I could retire at 57 and can shoot a bow full time. 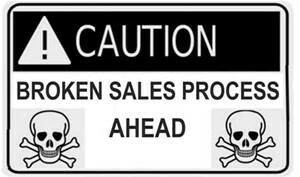 The manner in which many of sales representatives spoke to customers (archers) at the IBO was appalling. The vendor representatives were often arrogant to rude or both. Many seemed uninterested and worked to cut conversations short. During my working career (not that shooting isn’t work when you do it 6 days a week and travel nearly every week to compete) our sales and marketing team did things differently. Our booth representatives had goals to achieve, products to highlight, results to share, individuals to meet and new relationships to cultivate. I’m not certain I witnessed a lot of that sort of activity at the tournament. I’m am certain I watched a lot of rudeness from company reps directed to customers (archers). Well, you might think that the IBO World Championship isn’t exactly a business trade show like the ATA. OK, let’s grant that train of thought. I’ll match the IBO vendors with Ironman vendors. At the Ironman World Championship there were probably 10 times as many vendors compared to the IBO on the Big Island of Hawaii. At every booth athletes (customers) were treated with great respect. The sales people went out of their way to see that every competitor was treated like a champion. Too many of the vendors at the IBO acted like they were doing athletes a favor to get off their butts and answer a question. In fact, many didn’t bother getting off their butts. Granted, there were some great company reps at several of the booths. Still, there were a surprising number of booths staffed by people that made me ‘not’ want to purchase that manufacturers products. To be sure, I remained smiling and pleasant regardless of how poorly good manners were reciprocated. 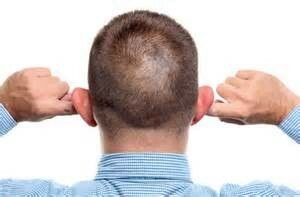 What was more difficult was keeping my mouth shut when I witnessed rudeness to others. There are plenty of archery vendors. Some are better than others when it comes to the treatment of the athletes that compete in this sport. Seriously, though, there were some very bad company representatives at this major tournament. When I left the medical/business world I was happy to leave the traveling behind. Then, I traveled every week and one weekend per month. These weren’t short trips. I had an office in Boston and in Jerusalem – as in Israel. I lived in Easton, Maryland at the time. During the last two decades where I’ve conducted business or been part of a medical congress I traveled to nearly every country in Europe, as well as many countries in Asia-Pacific, Australia and the middle east. I’ve also traveled to every State in America except Alaska – I did fly over it often. I’ve been to Canada and parts of South America as well as the Caribbean. Some places where better than others. All meant stays in hotels – frequently long stays in hotels. When we sold the business, a medical company (Oridion Medical), I thought my traveling days were behind me. Then, I took up archery. I wrote this from a hotel room in Olean, NY. It was August 6th and by car I have traveled 12,138 miles to compete in archery tournaments. The travel still is about the same, the income is vastly different. Fortunately, I can afford the expense (thanks in part to my prior travel). What is bad is being away from my wife, my dogs, and my home on the water. We’ve been considering buying an RV for 2016 so we can all travel together. That might be an adventure. Then, maybe it would be a headache in the long run. Looking forward to 2016, I can foresee a lot more travel. Day two was better than day 1. That’s to be expected since day one was petty much spent practicing on slopes. Here in coastal NC, where I live, there are no hills. The ski resort in Ellicottsville, NY is pretty much what you’d expect hill-wise from a ski resort. So, you can image the terrain from which we shot at the World Championship. 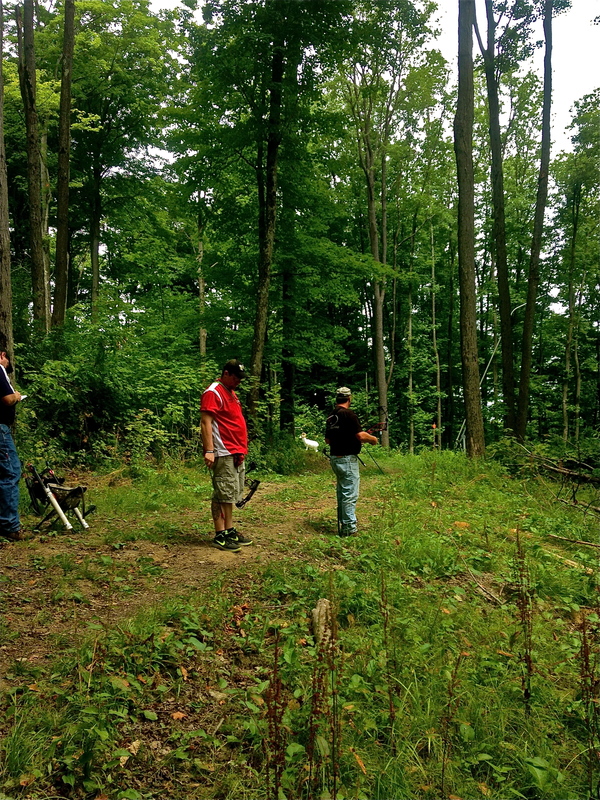 The IBO gave the Pro Hunter archers a serious 2-day challenge. The group of 5 in which I shot had a number of that band contesting in the shoot-out on Sunday. Needless to say, these fellows, with up to 33 years of archery experience, had the sport down. 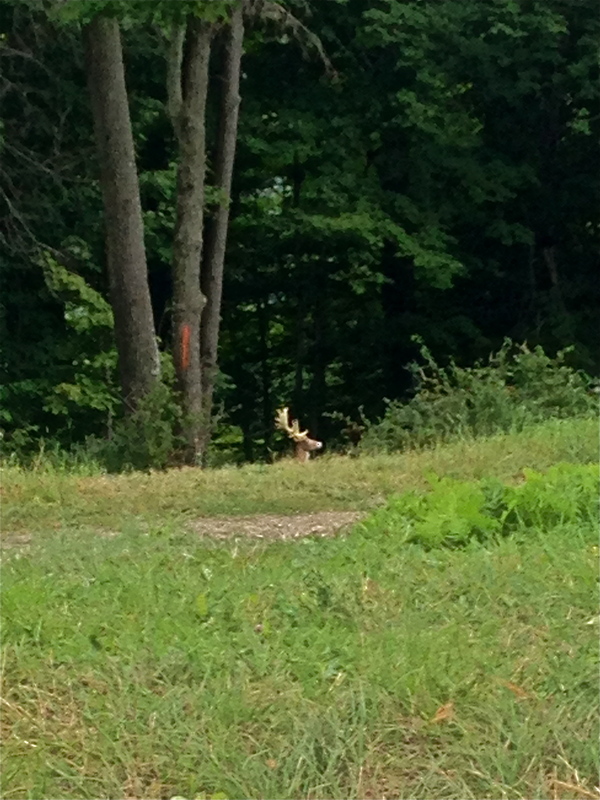 Bill, representing Hoyt, checking out three 11s and two tens shot from 40 yards. Shooting using pins and a short stabilizer from a maximum of 45 yards is a haul. On both days we had our fair share of long shots. This sheep at 43 yards was one of the easier shots. The fellows I shot with were excellent archers. They were, like so many others, pleasant guys with whom to spend the better part of a day. However, when the second day was done, I headed home stopping in Winchester, VA to sleep a few hours before finishing the drive on Sunday. Granted, I’d miss the excitement in New York, but my children and grandchildren arrived at my home on Friday and I was eager to get back. I went into this shoot feeling really good. It didn’t last long. There is a lot so say about shooting uphill and downhill. Living on the coast nearly all my shots are on level or nearly level ground. Mountains and hills within mountains certainly add a new dimension to archery. Wes sizing up what was truly the easiest shot of the day. These archers that live in areas where they can practice on ranges with steep slopes have a practiced ability to find a foothold and stand steady were in their element. Some of these guys were like mountain goats the way they could hang on a steep incline. For me, I was mostly hoping, on many shots, not to slip down while taking aim. There are two pro classes here: those shooting with a fixed pin hunting rig and those with long stabilizers and adjustable scopes. 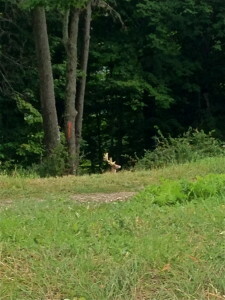 We shot on the same range; so all the stakes were either a max distance of 45 yards or 50 yards. 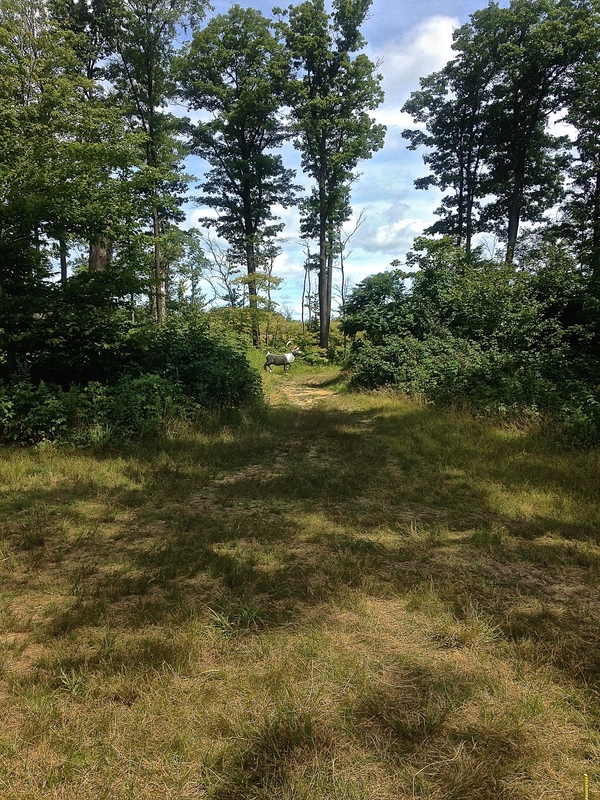 The hunting rigs have a max distance of 45 yards. 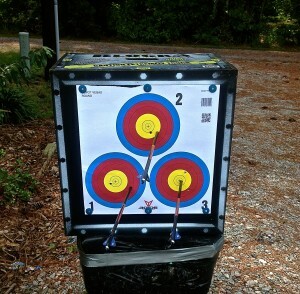 The group I shot with were all veteran pro archers. By that I mean none had been shooting less than 7 years with me as the exception. In fact, one of the scorekeeper’s IBO number was in the very low 8000s. Mine, I was the other scorekeeper, is over 91,000. These guys shot better than me today. On the level or nearly level targets I definitely held my own. But, every target that required a major bend at the waist, well I was taken to school. Despite their efforts to school me, the other guys had a day of managing tough shots. Our group had at least one very high score (probably in the top 3 at the end of the day) and even though there were 5 in our group we didn’t create a backup. I think the hike through the woods was so difficult that it was taking enough time to trek from stake to stake that crowding wasn’t a problem. Honestly, on some walks between stakes our group stopped and took a break. It was a long hard day on the range. Looking for some redemption tomorrow. 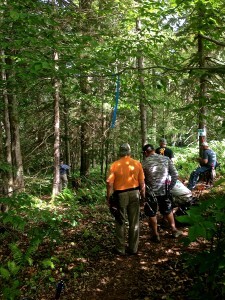 Thursday was check-in for the IBO World Championship and practice. 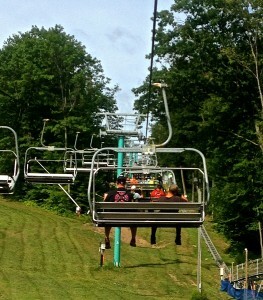 The practice range is a short trip via ski lift to the top of a mountain. The practice range was slow again this year. Not as bad as last year. I got in a shot every 10 minutes. Some groups were large, 5 – 7 shooters and very slow. Shooting alone I jumped ahead of them when bottlenecks occurred. The practice targets weren’t easy shots. 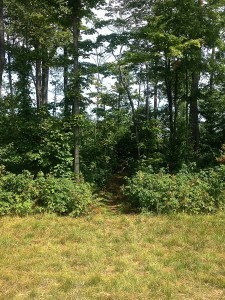 I heard more than one arrow zing through the woods followed by grumbling or worse. I spent an hour and forty minutes practicing. I shot two eights, my first two shots, followed by 3 tens and 5 elevens. 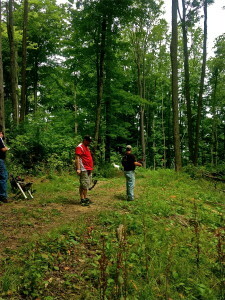 Most of the targets were on level ground or slightly downhill. This is the terrain that I’ve practiced and competed on thus far in 2015. I don’t live near a range where the target is uphill. Driving out I noticed the ranges where I’ll shoot tomorrow off in the distance. 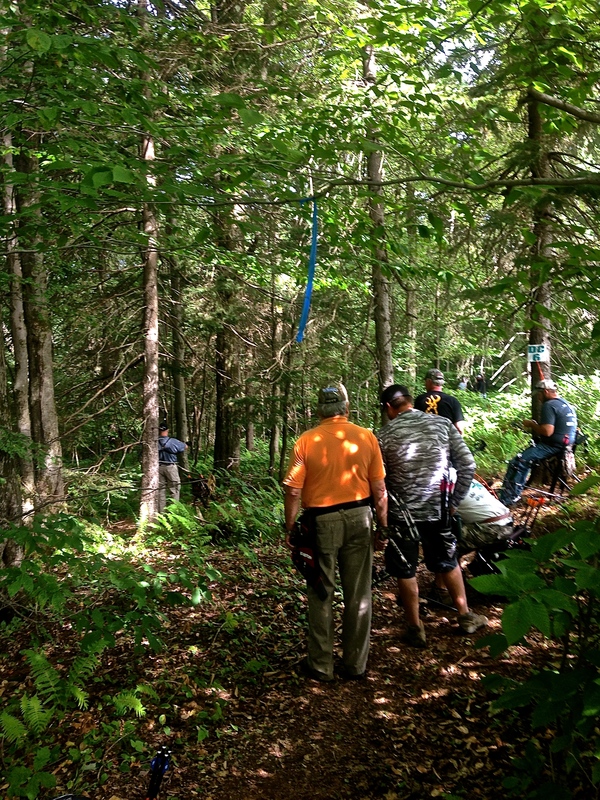 Of course, two of the targets looked like steep uphill shots. 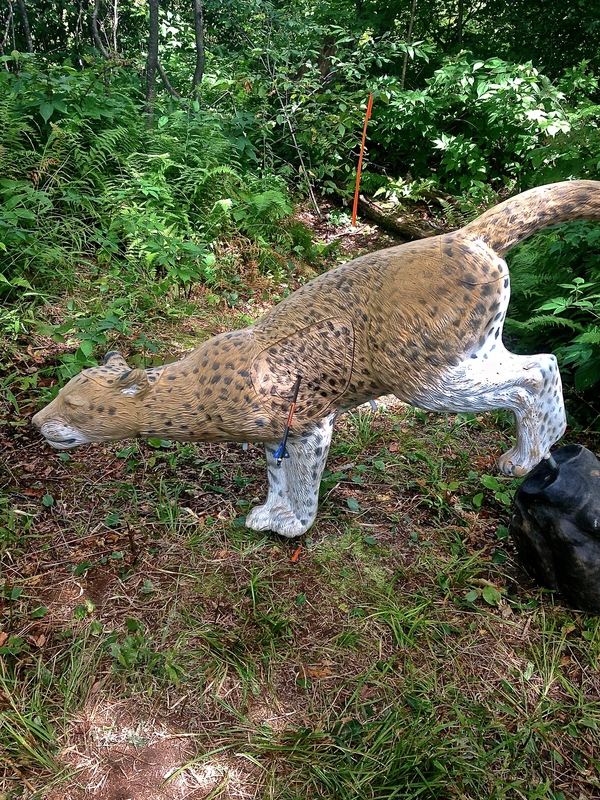 This spotted cat was down the path seen here at 40 yards. 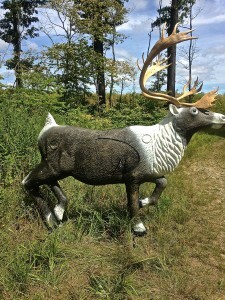 This caribou was at 45 yard shot. The stake was at 40 yards, I backed up five more before shooting.